Pangu team released a new untethered jailbreak tool for iOS 7.1.1 and iOS 7.1 for Windows today. While it cannot be yet completely trusted as the team is quite unknown in the JB community, the jailbreak solution seems to be working all fine so far. Here is how to jailbreak iOS 7.1.1 and 7.1 using untethered Pangu tool. Note: It is advised to proceed solely at your own risk as we cannot assure the long term reliability of the Pangu iOS 7.1-7.1.X jailbreak. Make sure your device is updated to iOS 7.1 or the latest iOS 7.1.1 (link: Download Links of iOS 7.1.1 IPSW for iPhone and iPad). Have latest iTunes version installed on your PC. It is important to always have a backup before you jailbreak your device. You can do it via iCloud or iTunes. 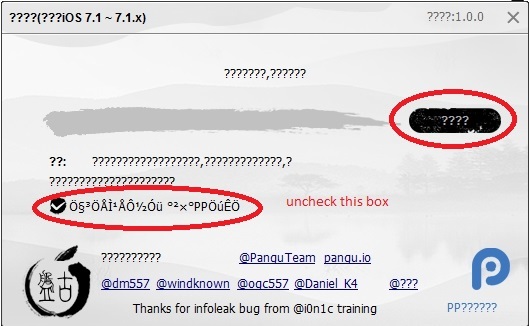 Required files: Download Pangu iOS 7.1 / 7.1.X untethered jailbreak tool from this link. Connect your iOS device with your computer and launch Pangu. Uncheck the following checkbox or it will install Chinese piracy store PPSync. Click on the black button (encircled in the image above) to initiate the jailbreak process. 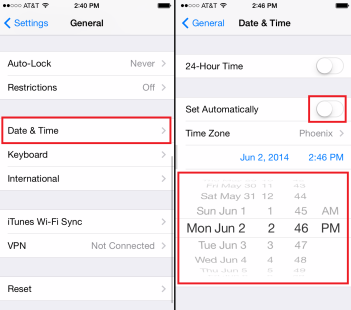 The next screen will ask you to set your device’s time: on your iOS device, go to Settings > General > Data and Time, and turn off Set Automatically. Set the date on your device to 02 June 2014 and the time to 20:30 (or 08:30pm). On your device’s home screen, you will see a new icon named Pangu. Clicking on it will install Cydia on your device (it will take a few moments) and finally you have a successfully jailbroken iOS device on iOS 7.1.X / iOS 7.1. Ta da! Again, we do not advise you to go ahead with this JB tool, but if you are curious and can risk a bit then this guide would surely have helped you. If you had jailbroken before this guide and have PPSync installed causing app / system crash, here is a guide to help you disable PPSync. 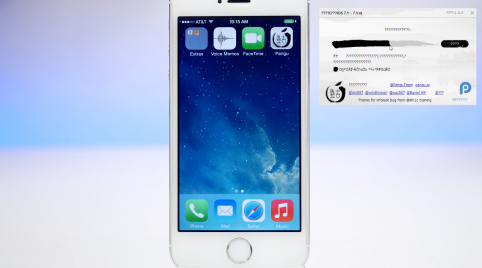 iOS 7.1.1 Jailbroken on iPhone 4 and iPhone 5c – Demo Video and Image! Is it Possible to Downgrade from iOS 7.1.1?